The alert was issued at 6h this morning (Sunday 18 November) and is set to last until at least 6h tomorrow (Monday 19 November). Orange is the second-most severe alert, just one level down from the top “red” alert. 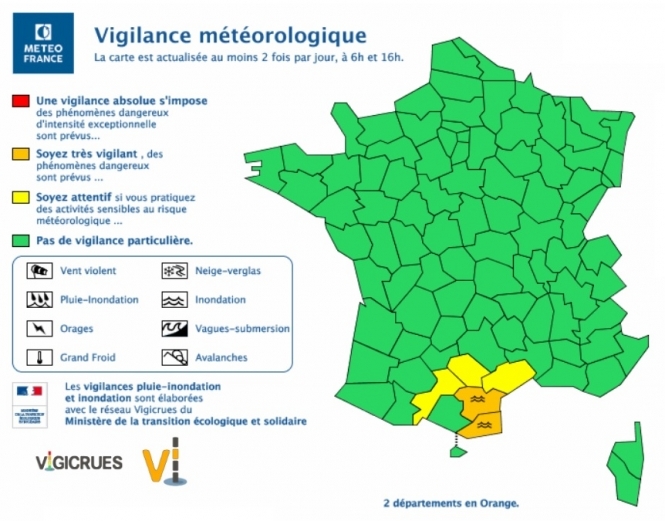 The Corbières region and the low-lying areas of the Aude are particularly at risk, after stormy rainfall over the Roussillon area and surrounds. 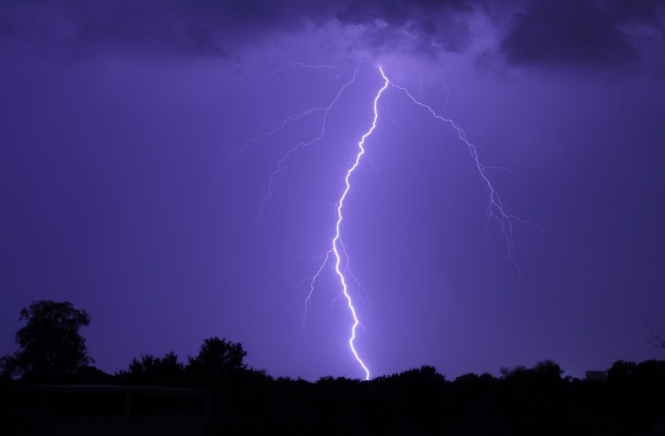 Rain and thunder is expected to continue throughout the day. Residents are warned to check their routes and surrounding areas before travelling, and to be vigilant to rising water. It is not advised to approach any areas of high water, whether in a car or by foot. Residents are also warned to make sure belongings and outdoors furniture - and similar items - are safe and away from any rising water. In mountainous areas, snowfall is expected to be high at altitudes of over 1,600 metres, and there may be some further snow in areas below this level as clouds continue to move.